There is a new book maybe best picked up every day of the new year. 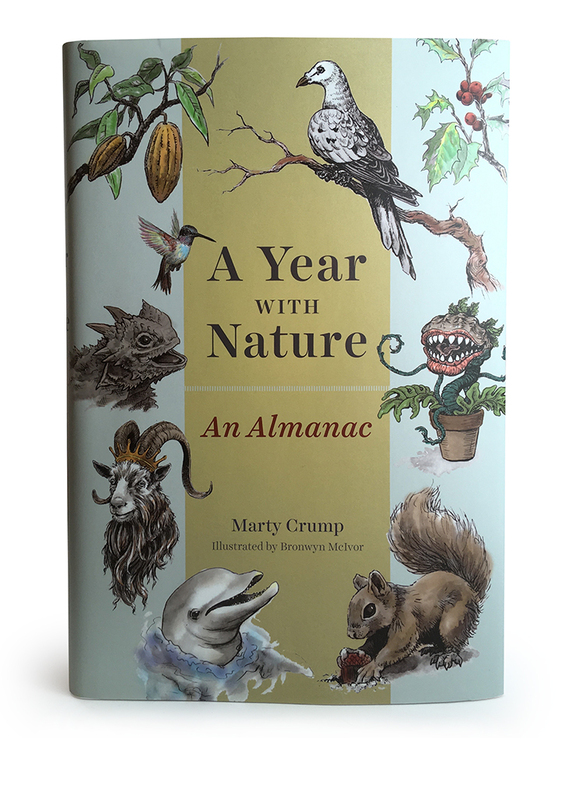 Author Marty Crump, a herpetologist and biology professor, has assembled a quirky, interesting almanac that sees nature in everything, be it music, art, literature, the regular in our everyday lives. Many entries pivot on a poem or writing that Crump uses to introduce the author, sure, but more so examine some broader theme relative to the words and the date. Regarding the anniversary of National Walking Day in April, for example, she leads with a quote from Henry David Thoreau, who needed four hours a day of walking to open him to put pen to paper. What’s more, Crump goes on, is Thoreau’s foresight all those years ago to the private threat to public lands so prevalent today.